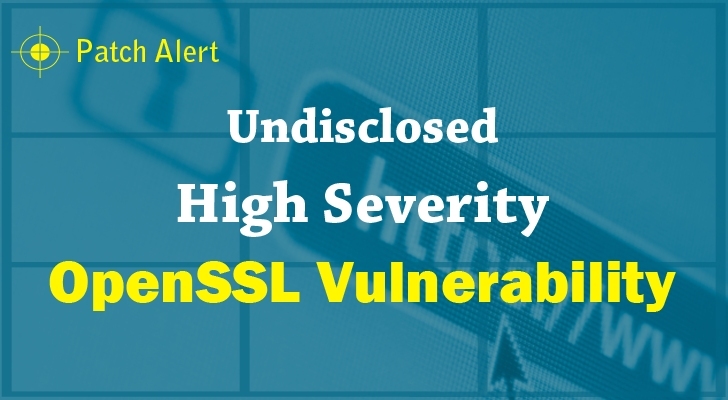 The new versions of OpenSSL crypto library, versions 1.0.2d and 1.0.1p, address a single security vulnerability classified as "high severity," the OpenSSL Project Team announced on Monday. There isn't more details about the mystery security vulnerability available yet, except for the fact that the security vulnerability doesn't affect the 1.0.0 or 0.9.8 series. "The OpenSSL project team would like to announce the forthcoming release of OpenSSL versions 1.0.2d and 1.0.1p," developer Mark J Cox announced in a mailing list note published yesterday. "These releases will be made available on 9th July. They will fix a single security defect classified as 'high' severity. This defect does not affect the 1.0.0 or 0.9.8 releases." The announcement of the new variants of OpenSSL was made in the concisest fashion possible to prevent cyber attackers from exploiting the hole before the fix is released to the public. Heartbleed, discovered in April last year, was a bug in an earlier version of OpenSSL that allowed hackers to read sensitive contents of victims' encrypted data, including credit card details and even steal crypto SSL keys from Internet servers or client software. Months later, another critical flaw known as POODLE -- Padding Oracle On Downgraded Legacy Encryption -- was unearthed in the decade old but widely used SSL 3.0 cryptographic protocol that allowed attackers to decrypt the contents of encrypted connections.